The hosting world is continually evolving with newer and better technologies every now and then. There was a time Virtual Machines were a real hot ticket, but that ship has since sailed and we are today looking at Container hosting. So, let’s get into it! If you have an IT team or work in a company that has one, you’ve probably heard the term ‘container hosting’ a couple of times and have been wondering what it really is. Well, for starters, container hosting is the hottest topic in the data world at the moment as it allows users to pack as much computing workload as they possible can on a single server by making it possible to scale up capacity for new resources within seconds. Theoretically, this basically means that a user buys less infrastructure, hires fewer IT specialists to manage operations and builds or even rents less data center space. Container technology is different from that of Virtual Machines. For example, a Linux Container provides every application running on a server its specific environment to run, but all these containers share the container hosting provider’s operating system. The fact that a container does not have to start its own operating system means a user can create a container in a matter of seconds. This flexibility and speed allows the data center to respond in real time in the event an application has a momentous spike in activity like increased traffic to a website. Container hosting allows users to fit multiple containers even on a standard Linux work computer something that is very difficult to mimic with a virtual machine. On a larger computing system, it is possible to load more and more containers since they use the host’s operating system. This means that one can load thousands of containers all at once whilst using the host server to perform tasks thus providing multitasking on a higher scale. It is for this reason that Google uses containers as they are very efficient and cost effective. Container hosting technology mostly uses open source projects such as Linux LXC, Docker, FreeBSD Jails, OpenVZ and Triton. All these different containers come with different tools geared to solve different problems on the platform they are installed on. 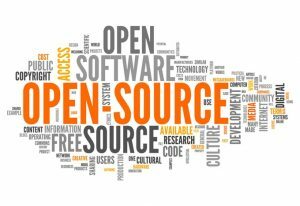 The fact that they are open source means that anyone can contribute to and also utilize their development. After using virtual machines, the first time a user boots a container will be so memorable. This is because containers don’t undergo rigorous computing steps such as loading the operating system from within rather, they only load the applications needed. A container boots within a fraction of a second thus providing time saving benefits especially if you are running a program that requires frequent re-starts. Container hosting is perhaps the most consistent hosting. This is because containers can be vertically scaled without any downtime and horizontally without the need for architectural improvements. From a security stand point, app containers are differentiated from each other. Container hosting technology is still evolving with new improvements happening every now and then. Considering google is already using this technology and looking for new ways in which they can improve it is a clear indication that container hosting provides dependable and effective hosting solutions and we can only expect better. Businesses and individuals alike are going crazy over container hosting thank to the amazing benefits it has to offer. Here are the top container hosting providers that you can choose from.